Check the musashi engraving on seppa (spacer) for authenticity with musashi box. Don't settle with a counterfeit one. Handmade, the blade is thick and comes extremely sharp. Like the moreexpensive models this blade can even be bent 45 degrees. To keep costs low thetsuba on this model is made with a machine process instead of using a handmadetsuba (as seen on the Elite series). The tsuba and other fittings look verygood and are well suited for this model. This sword is well balanced and thetight handle wrap feels great. Comes complete with a black cotton storage bag.Materials and Way of Forge: Traditional hand forge Muku-kitae method. ?1060High Carbon Steel. 55 HRC blade hardness. Hamon and hardness created withtemper process. Real hamon, not wire brushed or printed. Real ray skin wrappedgrip with black cotton cord wrap. Extremely sharp hand honed edge. Steeltsuba, fuchi, and kashira; Brass habaki. Can be disassembled for care ordisplay. Dual bamboo mekugi (peg), hardwood handle. Hardwood scabbard withhigh quality piano paint finish. 39 3/4 in. overall, 27 1/2 in. blade, 10 3/4in. handle. Includes black cotton sword storage/carry bag. 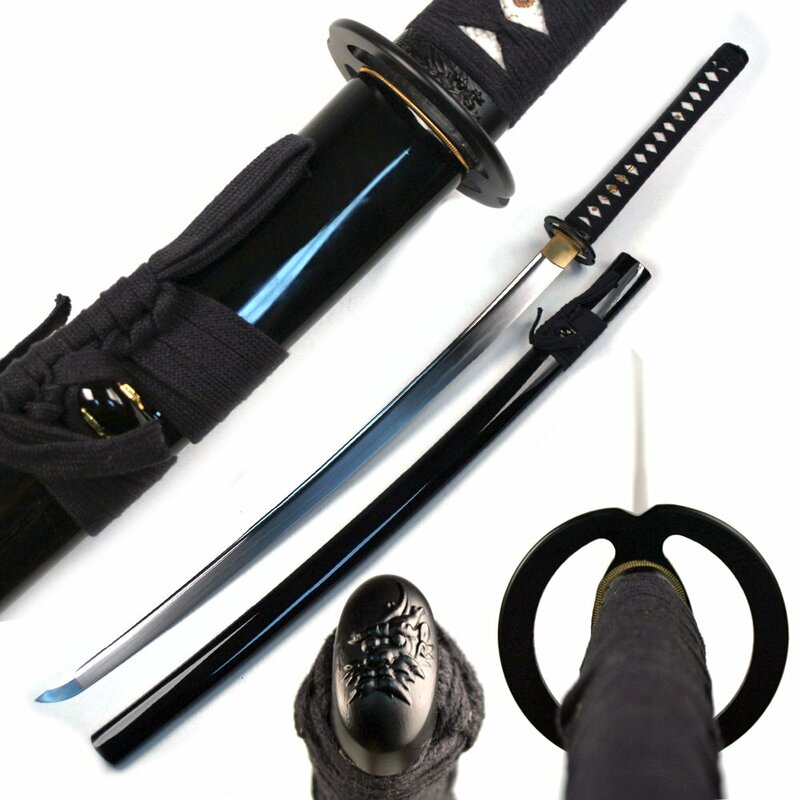 Includes blackcotton sword storage/carry bag and musashi certificate of authenticity. Checkthe musashi engraving on seppa (spacer) for authenticity. Don't settle with acounterfeit one.